Shopian: Little Aiza is scanning the faces of every visitor at her home in Khasipora, Shopian carefully to find out whether here Abu has returned from the fields. She fails to find him at her home and asks her mother, “Abu katie (Where is my Daddy?)”. Though her cousins try to divert her attention, she cries bitterly as she wants to see her father. Aiza, who is a just 18-month-old baby, is unaware of the fact that her father Iqbal Ahmad Bhat, 28, was shot dead in a “cold-blooded murder” by the Army while retreating from a gunfight site in neighbouring village Kachdoora. She is an orphan now. Iqbal was least interested in knowing about encounters and stone-pelting matters, says his family. “He has never participated in any procession as his household chores would pre-occupy him always,” says Iqbal’s elder brother Bilal Ahmad Bhat. Bilal is not only mourning the death of his brother but also the fact that there is no one to care for his brother’s family now as the lone bread-winner has been put to eternal sleep. “They were about to build a new house adjacent to this house. But fate had something different in store for him,” says Bilal. As gunfight raged in Kachdoora on Sunday, Iqbal saw youth from his little village rushing towards the encounter site early in the morning. Five militants were killed by the forces at Kachdoora. At noon, says his brother, he decided to see his in-laws in neighbouring Chutwut village and had intended to head to Kachdoora also to ask his village youth to return home. Iqbal’s elder brother Bilal Ahmad Bhat shows his recent picture with his daughter. “This was his sole purpose to head to Kachdoora. 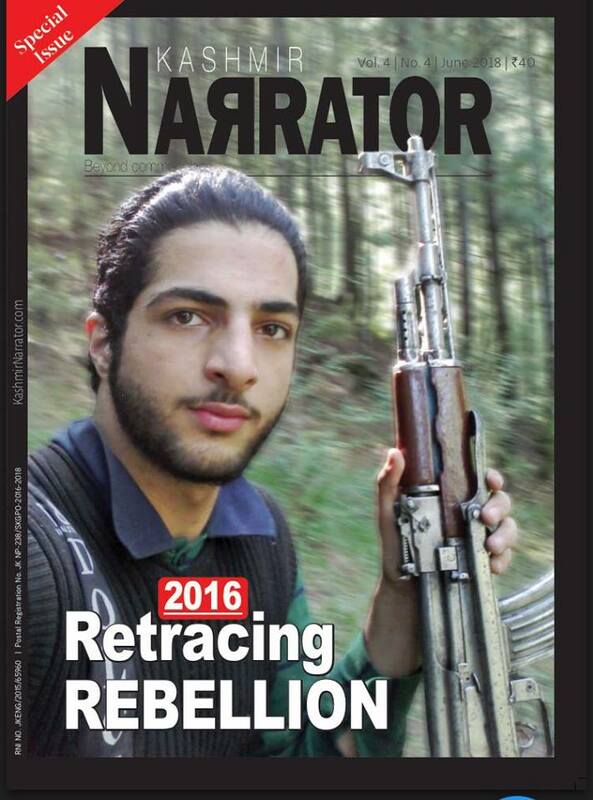 He was not a stone-pelter,” says his younger brother Nawaz Ahmad Bhat. Iqbal was also a daily-wager in one of the government departments and was about to get regularised on April 4. “He was a happy man now as we thought all his worries of poverty shall end soon. But little we know that he shall meet his fate like this,” says Nawaz. Iqbal was about to get a permanent job in a government department. His death has shattered his family dreams. A local said that Iqbal was hit twice by the Army while it was retreating from the gunfight site. “It was a target fire. He was shot at his abdomen. Though he was ferried to a hospital on a motorbike, he had lost a lot of blood already,” the local said. On Sunday evening, Iqbal was declared dead in SKIMS hospital. He was quietly buried in a nearby local graveyard in Khasipora along with his dreams.